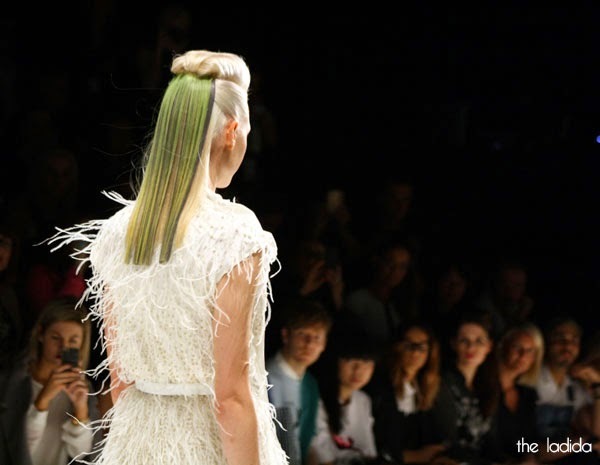 Aurelio Costarella opened Day 2 of Mercedes-Benz Fashion Week Australia, the first full day to showcase Aussie fashion. The Sølaire collection was full of all white everythang... as well as bright colours of pink, orange and blue making their statement on the runway. The collection had that extra somethin' somethin' thanks to different textures and embellishments. My favourite was brought on by the 'fluffy' material (clearly not a fashion term) that was fun to watch sashaying down the runway. 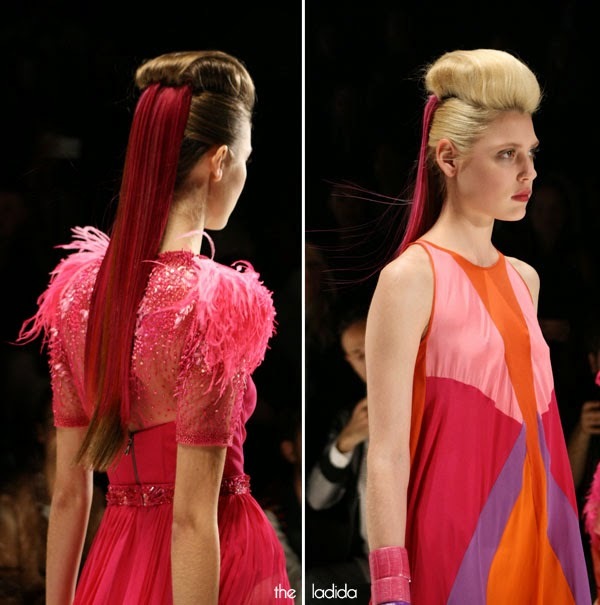 The hairstyles were pretty striking with a massive quiff and bright hair by Goldwell. With makeup by M.A.C.